As one of our most intimate and private rooms, The Terrace Room is a very popular choice for honeymoons and anniversaries. It’s located on the ground floor and enjoys a lovely view of the gardens and pond from the terrace. 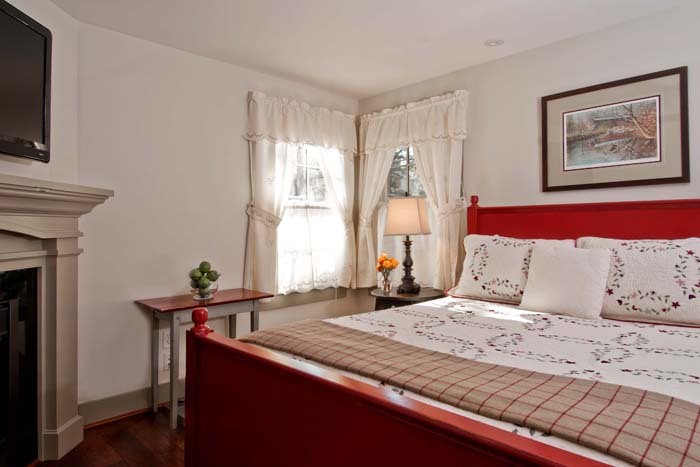 The room also features a queen-sized bed, Sealy Posturpedic mattress, gas fireplace, and HDTV. 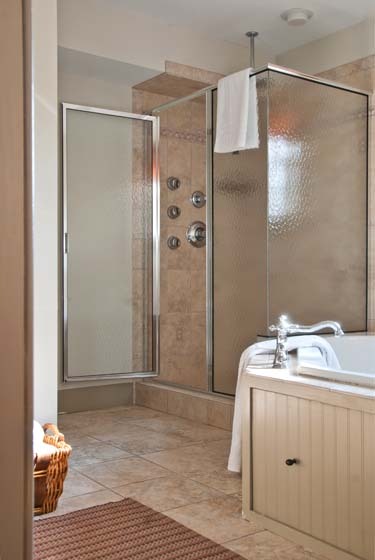 In the en-suite bathroom, you will find a huge, air-jetted tub for two and a separate rainforest shower. You will even have access to the all-season sun porch via your own private staircase. Make your time in the Terrace Room even more memorable with one of our tempting vacation packages. 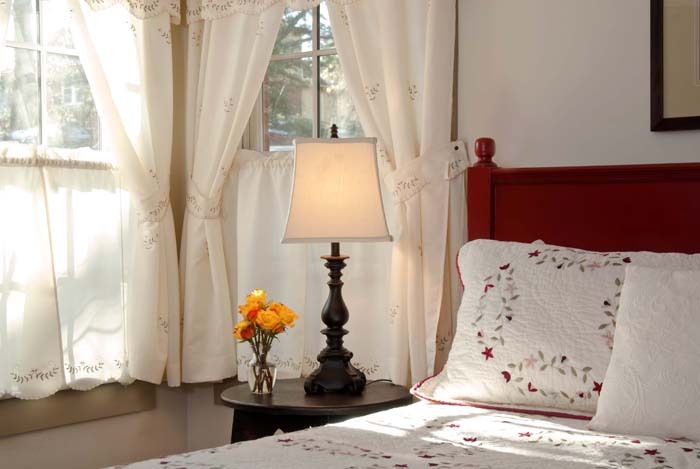 Book The Terrace Room today or browse our other lovely rooms and suites. The Wayside Inn is located at 4344 Columbia Road. It is conveniently located in Ellicott City, between Baltimore, Maryland, and Washington, D.C.
© Copyright 2018 The Wayside Inn. All Rights Reserved.